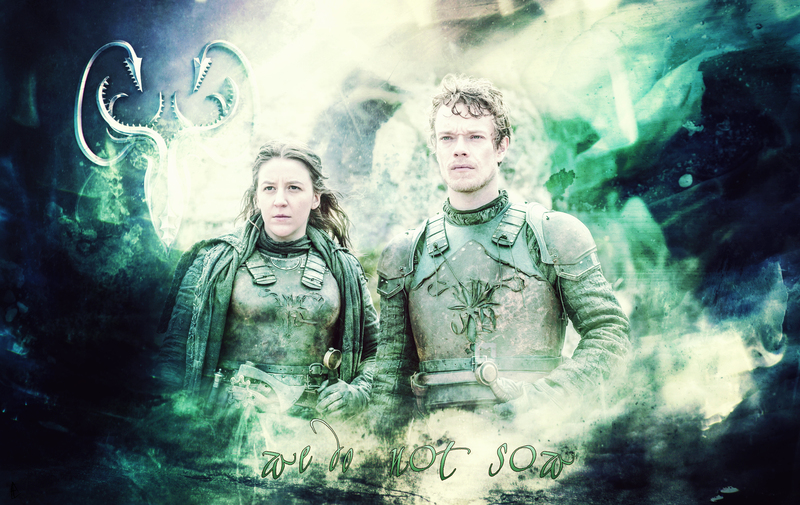 Asha & Theon Greyjoy. . HD Wallpaper and background images in the Game of Thrones club tagged: game of thrones season 6 alfie allen theon greyjoy gemma whelan asha greyjoy yara greyjoy.